← Website Development 2 – Links, Paragraphs, Headings and Images! Thank you all for coming Saturday on such a nice day and such a busy day of sport as well! 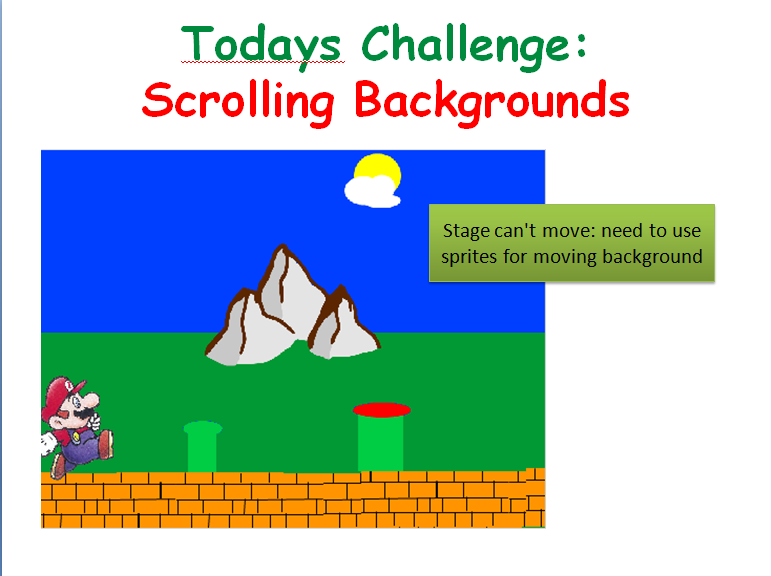 We started our Mario game, where we will use scrolling of objects in the background to achieve movement rather than making Mario move. It can be a difficult concept to grasp for the younger ones, but we will go through it again next week before we continue on with the game. Rather than putting up the notes from this week, I will wait until we have the game finished before putting up the completed notes. 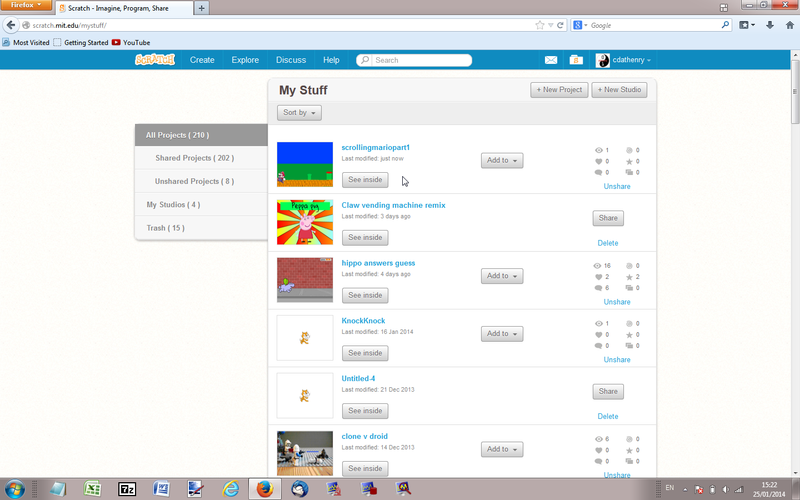 I have however, put the game (as far as we did today) on the Scratch Website http://www.scratch.mit.edu. Login with the User name coderdojodathenry and password xxxxxxx123 and you will be able to download the game if you weren’t here this week or have a look at the code to get your own game work working. 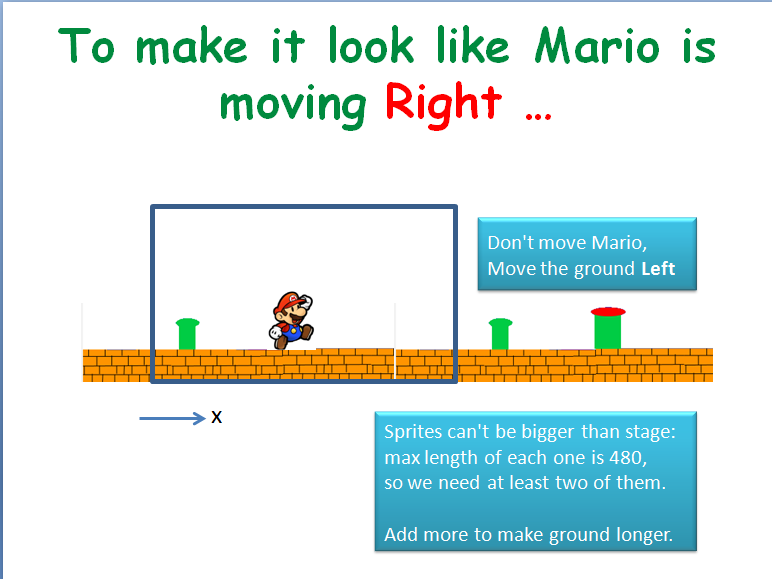 See you all next week, when we will make Shrink and add some more scrolling sprites!